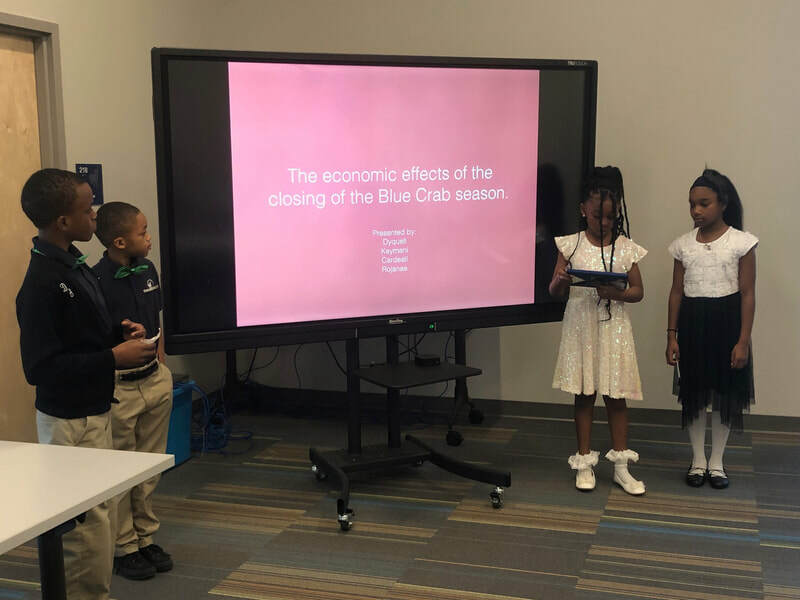 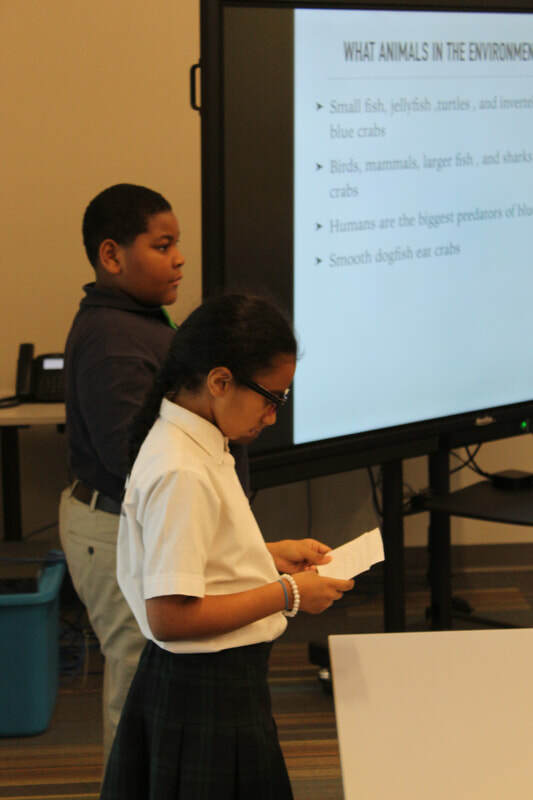 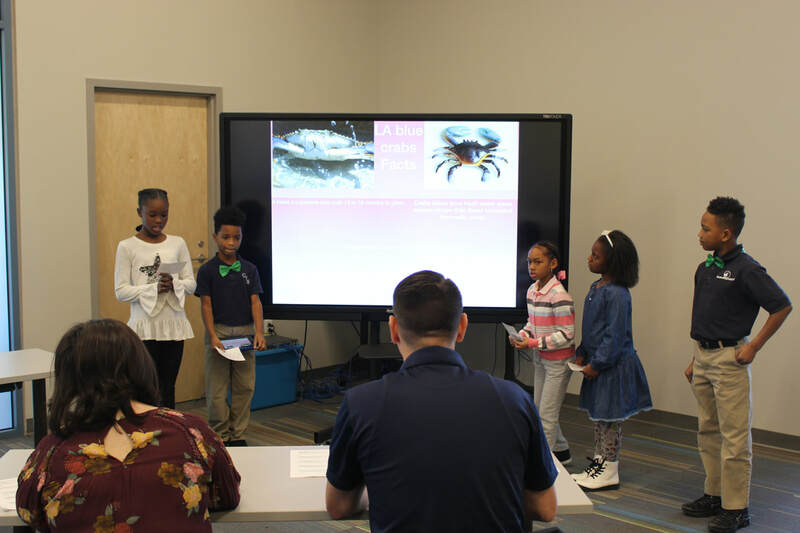 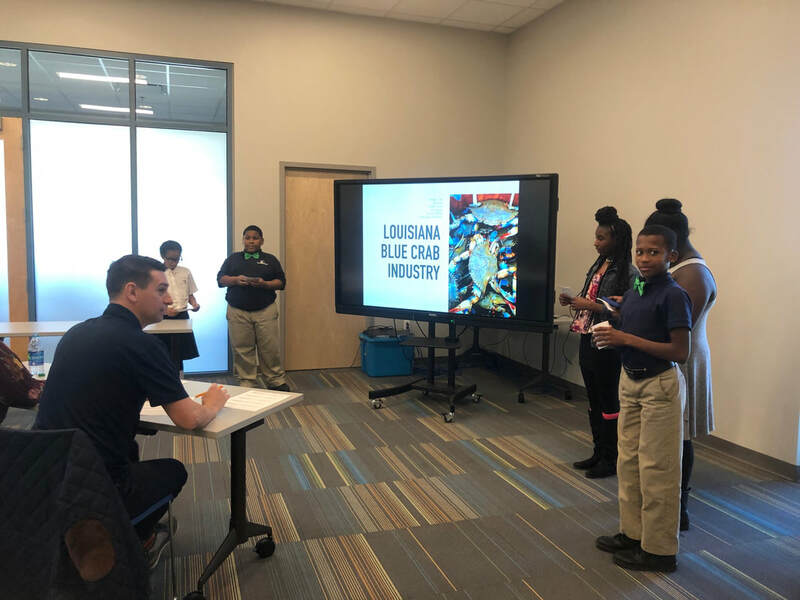 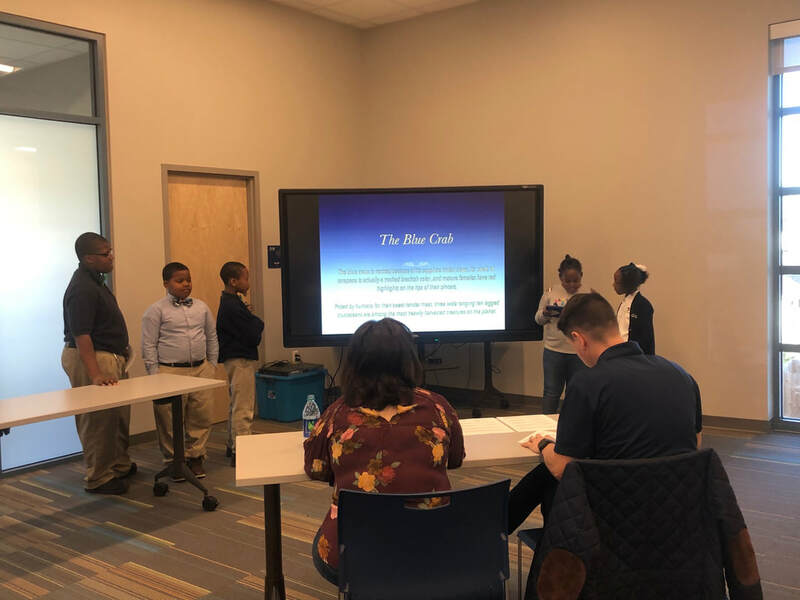 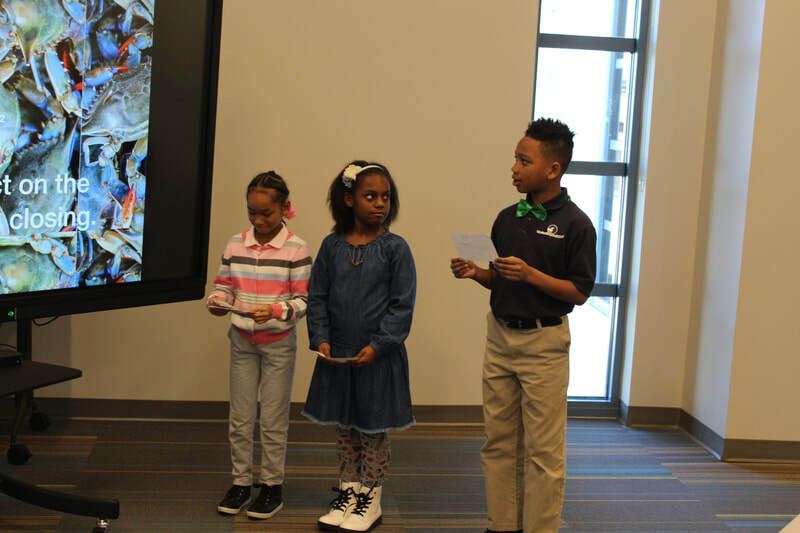 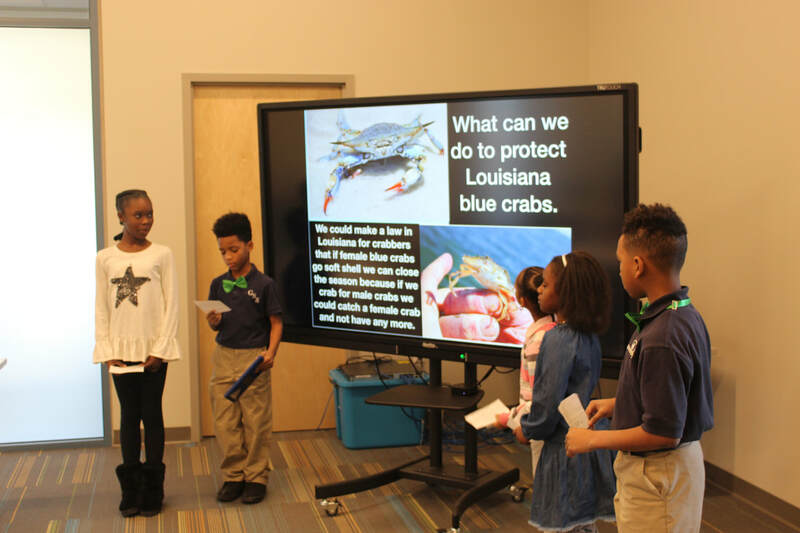 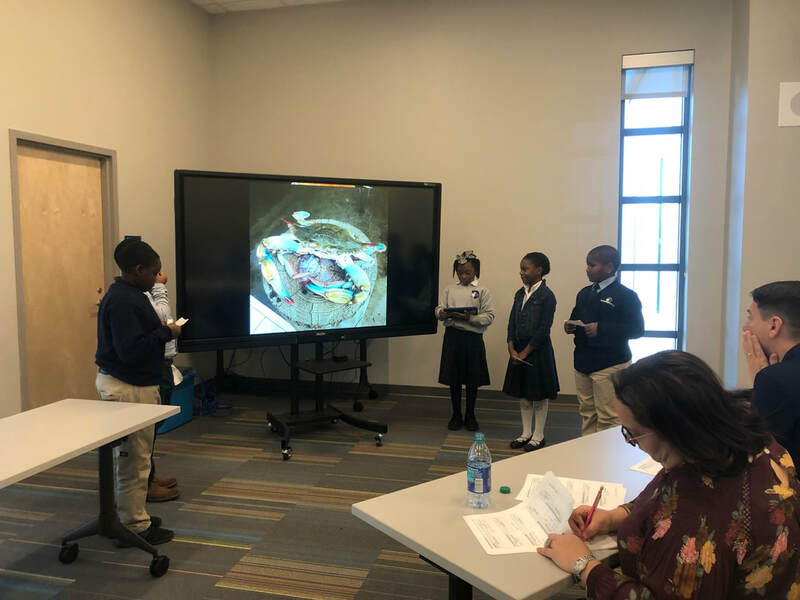 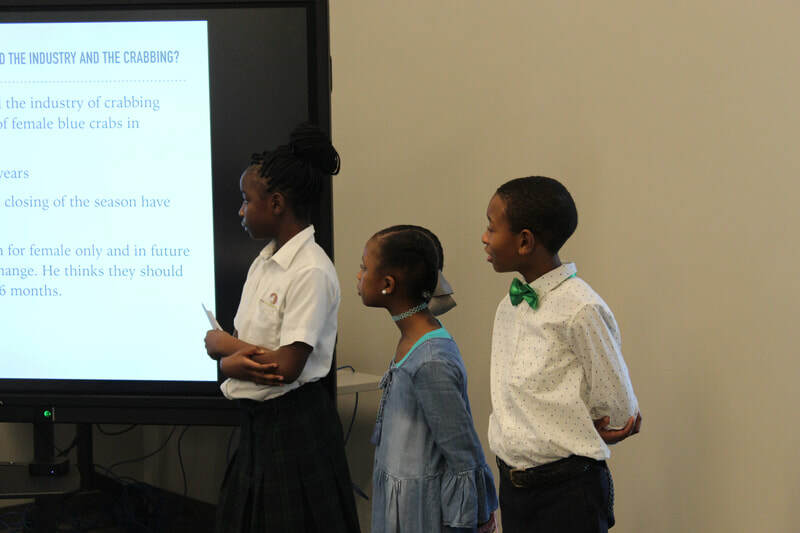 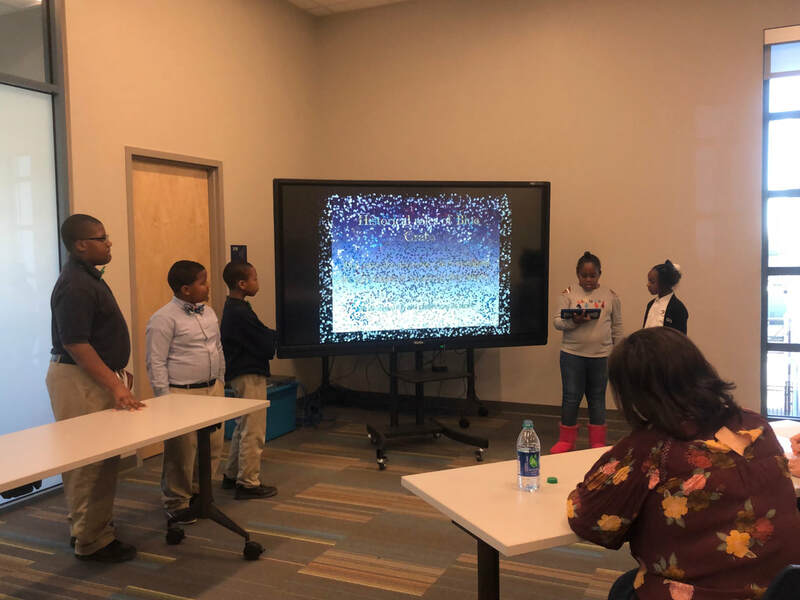 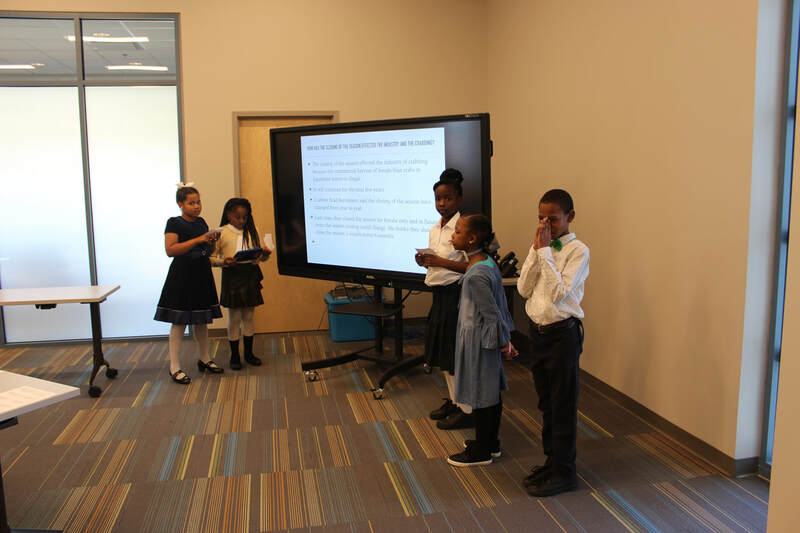 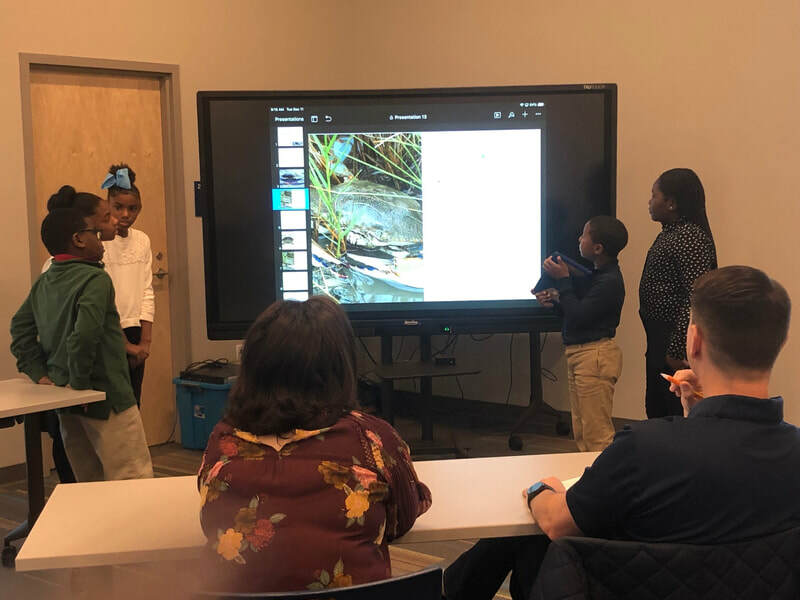 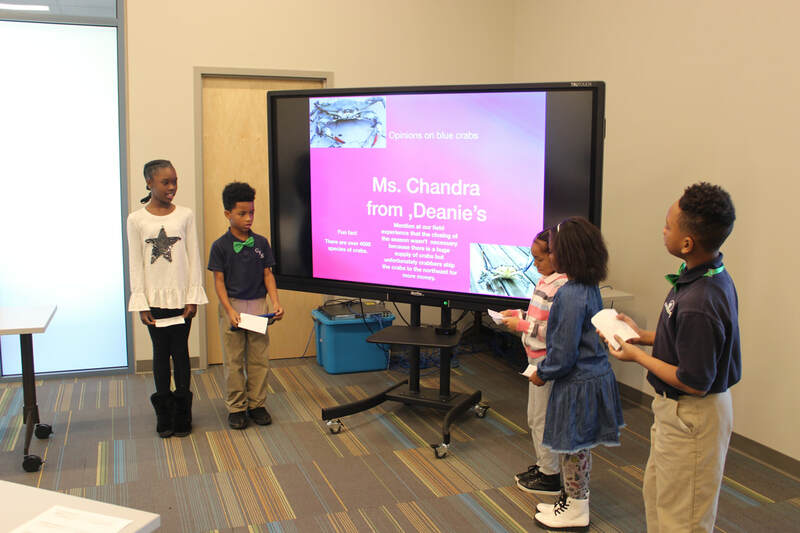 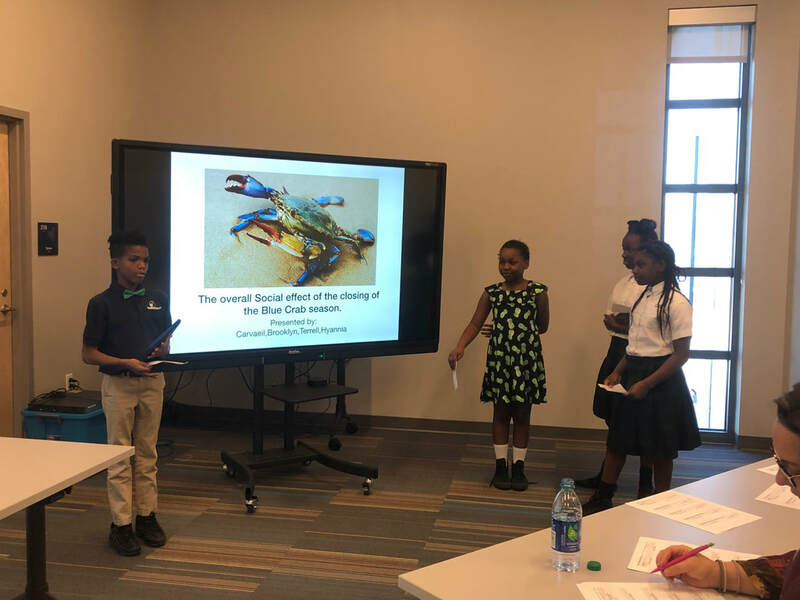 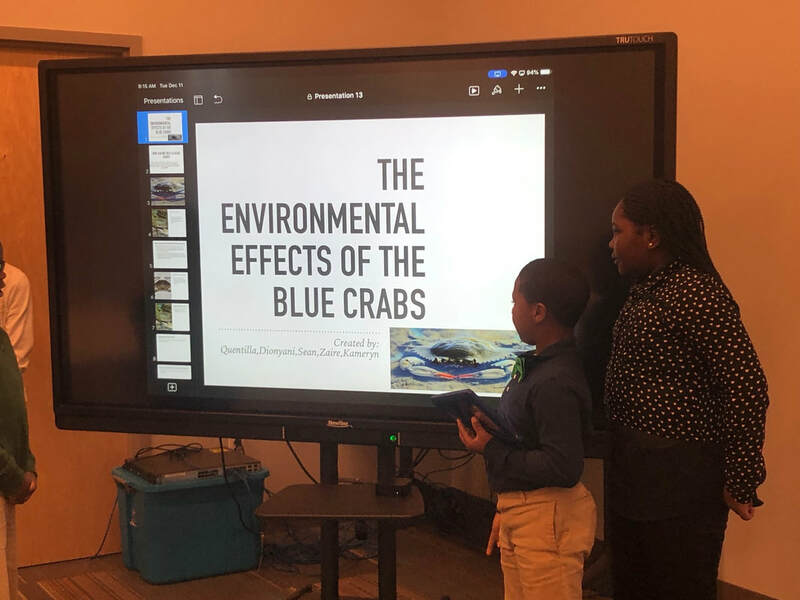 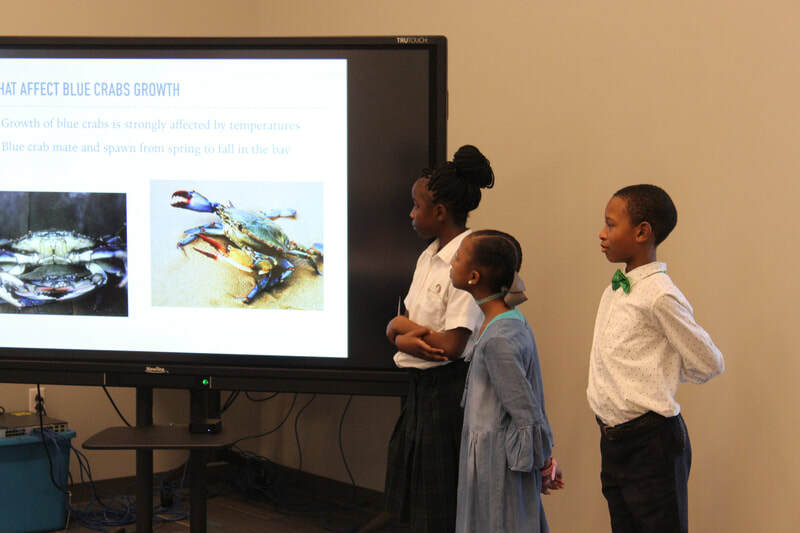 The GSS 4th graders have spent the semesters researching the blue crab population problem and the many effects blue crabs have on economy. 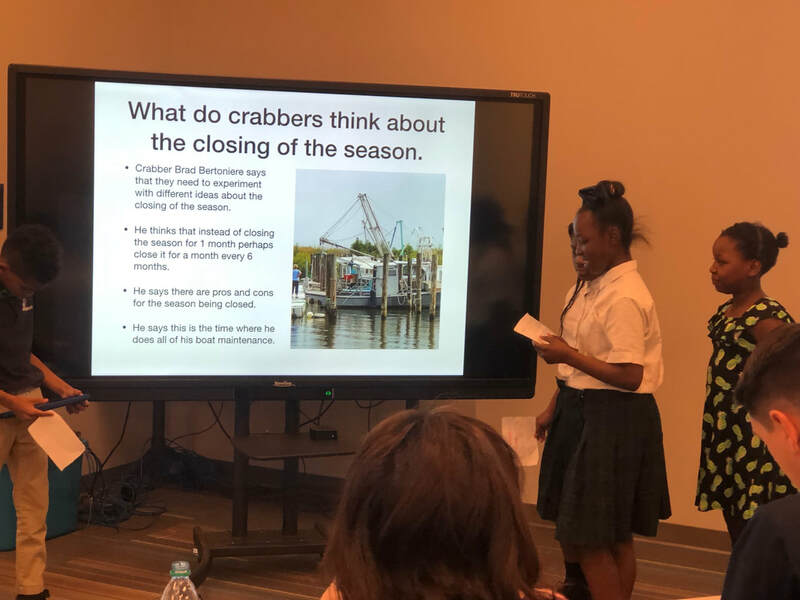 The students went on a field experience to restaurants and to see crab boats, as well as visited with experts Chandra Chifici and Ray Schlaudecker of Deanie's Seafood and Capt Sid's in Bucktown. 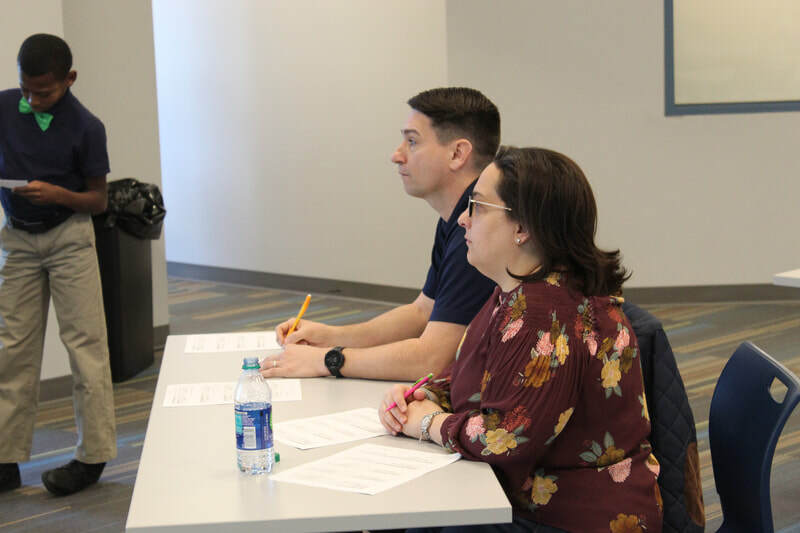 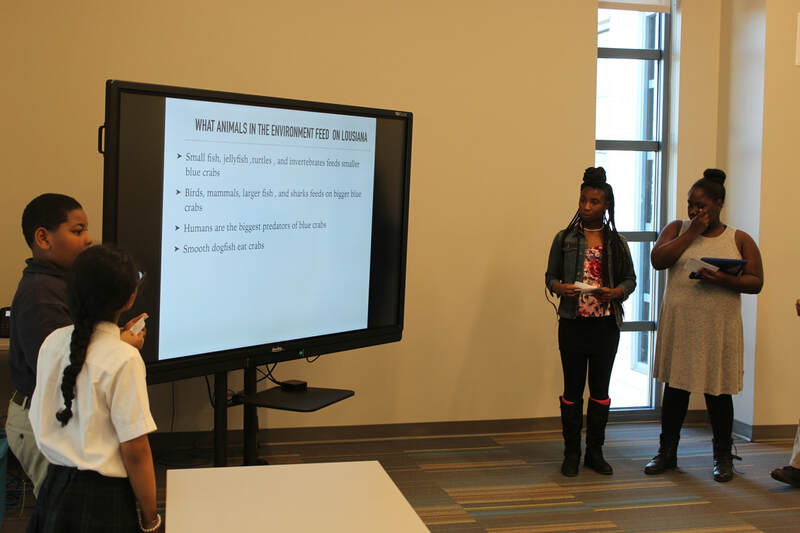 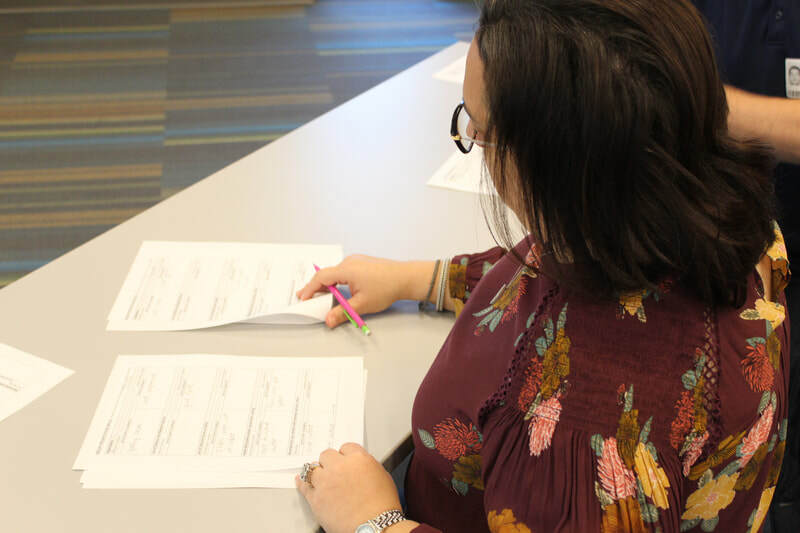 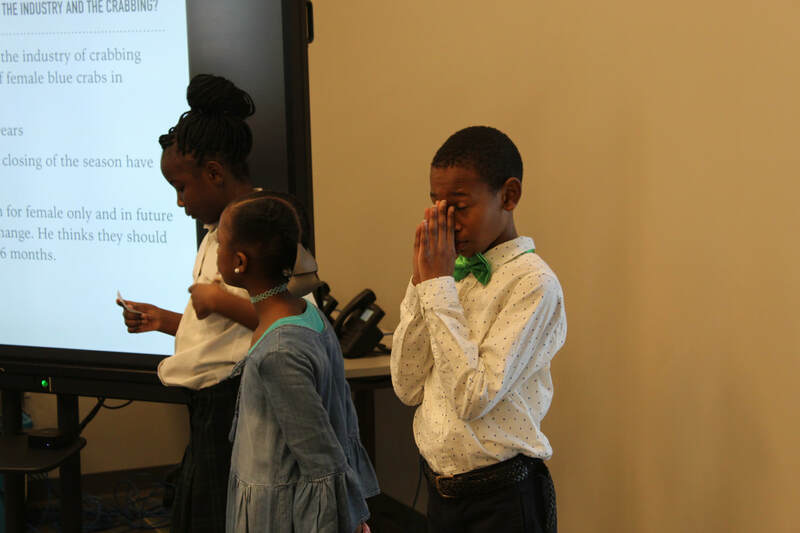 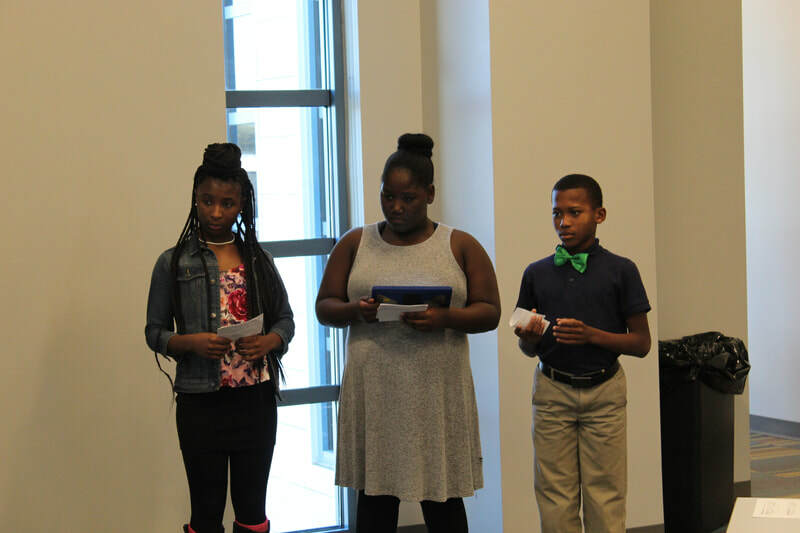 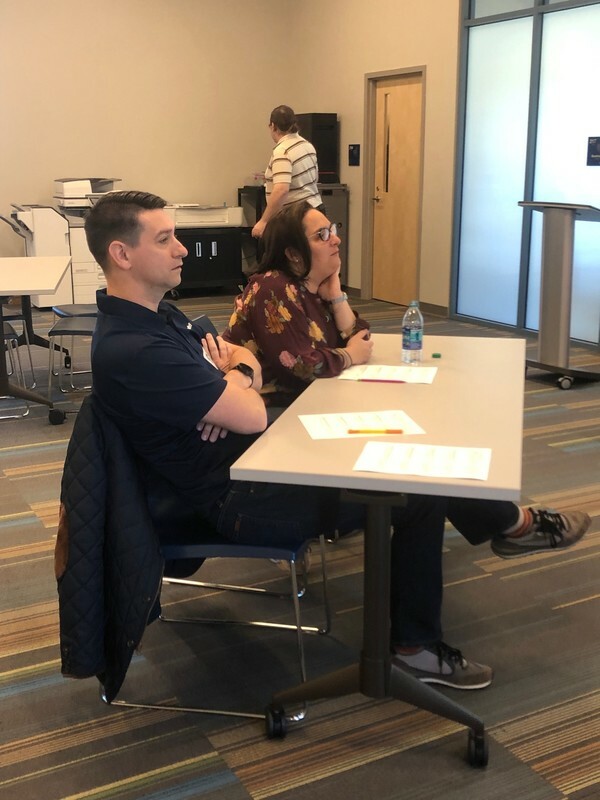 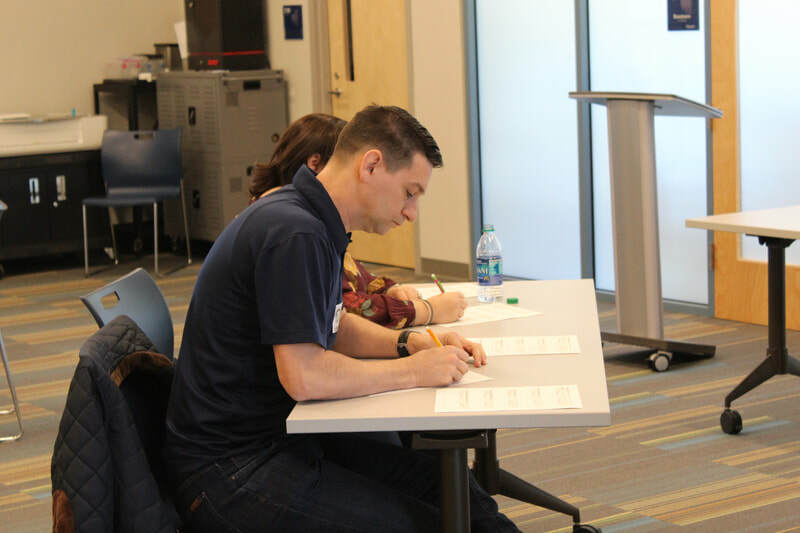 They both came to serve as panelists before our students as they presented their solutions on campus in the library.